San Lorenzo School Turns 40! 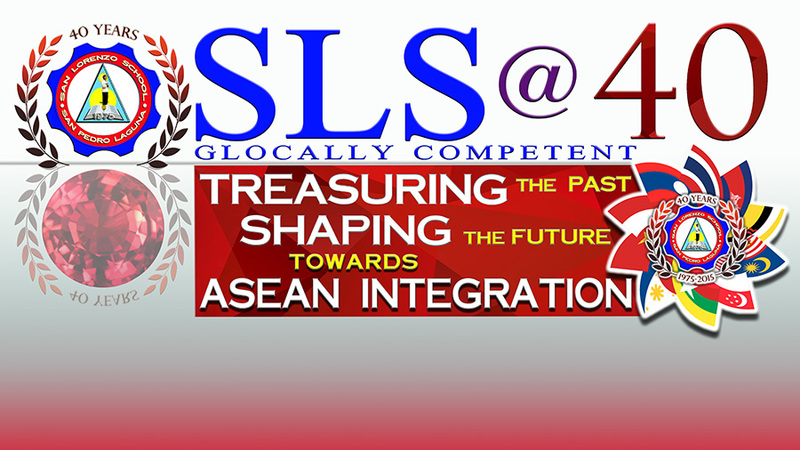 San Lorenzo School in the city of San Pedro is celebrating its 40th Founding Anniversary this school year 2015-2016, themed “Treasuring the Past, Shaping the Future toward ASEAN Integration”. The celebration will highlight several activities that will last until the end of the school year. The festivities officially started on October 2 with a Thanksgiving Mass and the opening of the Sports fest and Muse Competition. The primary department’s Expo was then held the next day, followed by the intermediate pupils’ Expo a week after. On October 21, the formal opening ceremony to mark the school’s ruby anniversary will feature the highly-anticipated Field Demonstration, followed by the opening of the High School Exhibit, and the Inter-Color Sports fest. This is will be attended by special guests, including local government leaders, loyal parent awardees who fully supported the school’s programs and activities within the last 10 years, and alumni awardees successful in their field of expertise. Several booths will likewise be put up by the different clubs for the Open House. The students’ athletic ability, as well as that of the members of the faculty staff, selected alumni, and PTA will also be given emphasis through an assortment of sport competitions like basketball, volleyball, badminton, indoor games, as well as some popular Filipino games like piko and patintero on October 22 to 24. The Academic challenge composed of quiz bees on Spelling, Math, Science, and other subjects is scheduled on October 22-23, while the Siyensia Potentia Inter-School Competition will be held on November 13. Another much-awaited activity, the Cheer and Dance Competition and Awarding Ceremony will then be held on October 28. San Lorenzo School will not be what it is today if not for one of its beloved founders, Mrs. Zenaida Abanilla and in commemoration of her 8th birth-in-the-afterlife anniversary, a Holy Mass will be celebrated on the 22nd of October. The SLS Parent-Teacher Association also prepared an array of activities like the “Sanlo Run Go”, a Fun Run with the San Pedro River Basin Council to raise environmental awareness which is set for November 21, as well as the Search for Master & Little Miss and Mister & Miss SLS, which will have its Talent Night on December 12 and Coronation Night on February 2016.